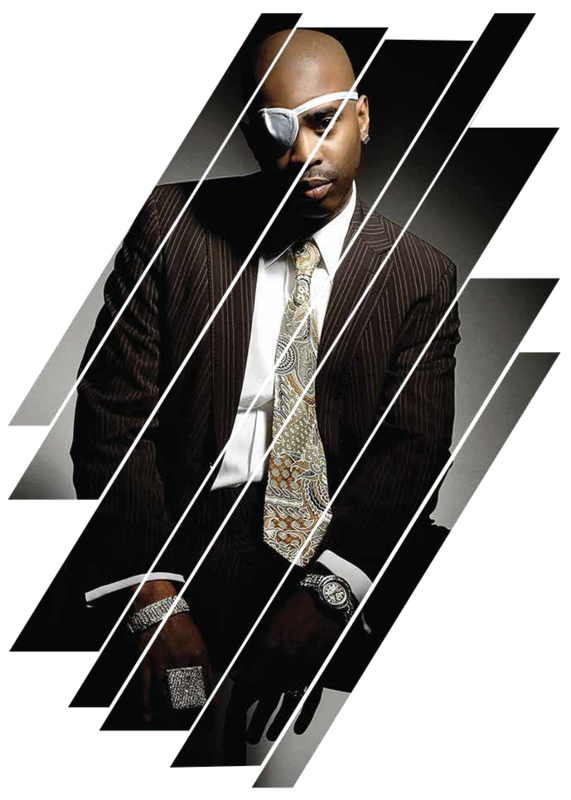 better known to the world as Slick Rick, is a Grammy nominated, English born performer and the most successful British-American rapper in music history. Born and raised in the London district of Surrey to Jamaican parents, Rick migrated to the Bronx, enrolled as a graphic arts major at the High School of Music & Arts. He learned to paint pictures with words and unknowingly created a persona that encompassed his U.K., U.S. and Caribbean roots. Just 19 years old when he entered the professional vocal booth, then known as MC Ricky D, he was ready for his close-up, recording the double single gem "The Show" and "La Di Da Di" alongside Doug E. Fresh and the Get Fresh Crew, projecting a fresh verbal flow and a narrative style displaying five Ricky's in one body:producer, storyteller, actor, director and singer, he quickly became the 3rd artist signed to Def Jam Records. The Ruler has four multiplatinum albums to his credit, the landmark "The Great Adventures of Slick Rick," "The Ruler's Back," "Behind Bars" and "The Art of Storytelling." Investing in real estate at the beginning of his career, Mr. Walters has owned/managed numerous rental properties in New Y0rk for over three decades. Recent partnerships include an eye wear capsule collection with Will.I.Am, a sweatshirt collection with Urban Outfitters, Slick Rick sock collection with Odd Sox, a "Children's Story" cartoon book with Traffic Entertainment and Universal Music Group. Other collaborations include AR (augmented reality) voice over work for Masters of the Sun & Marvel Comics, voice over work for "Yo Gabba Gabba" and a 2017 audio book titled "How to Get a Record Deal" written by Rap Coalition founder Ms. Wendy Day. Behind the scenes, Rick continues to give back to his community. Dedicating his time to several philanthropic causes, Rick has worked with councilman Andy King to sponsor the Bronx Youth Empowerment Program's (BYEP) Christmas charity event for over three years. He also partnered with Mayor Ras Baraka & The City of Newark, NJ Public Schools, Senator Dwight Bullock and Miami Dade Florida, the FDNY, and the Brooklyn Department of Homeless Services. Rick also joined Will.I.Am's "Trams4m" Concert, raising over $2.4 million for the music producer's "I.Am.Angel Foundation." In addition, The Smithsonian National Museum of African American History and Culture honored Rick with an exhibition. Slick Rick is fashion! He's a renaissance man—he's hip-hop's Liberace! From the moment the British born-Bronx bred MC stepped on the scene, everything he wore was seemingly in. Rick set trends and influenced artists in every era. In fashion, he didn't break or bend, or played pretend, he pulled from eras past and had fun doing it with class! Cut and sew, mix and match, best known for his fresh and eye patch, the MC shined and story told, appealing to both y0ung and old. Even as time went by, those grey and green declared him fly.